The Kalo Shop influenced the style and form of many Arts & Crafts silversmiths, including Randahl, Lebolt, Eicher, Novick, the TC Shop, Mulholland, and Edward Breese. 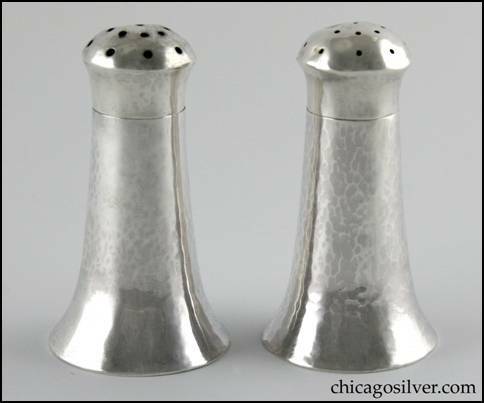 Breese was born in England, and worked as a silversmith in Chicago from 1921-1940, sometimes from his home in Arlington Heights. He produced some objects for Matthias Hanck, but had his own retail operation. Many of his pieces were small; the tall candlesticks below are unusual. These resemble tulip-form pieces produced by Kalo and others. 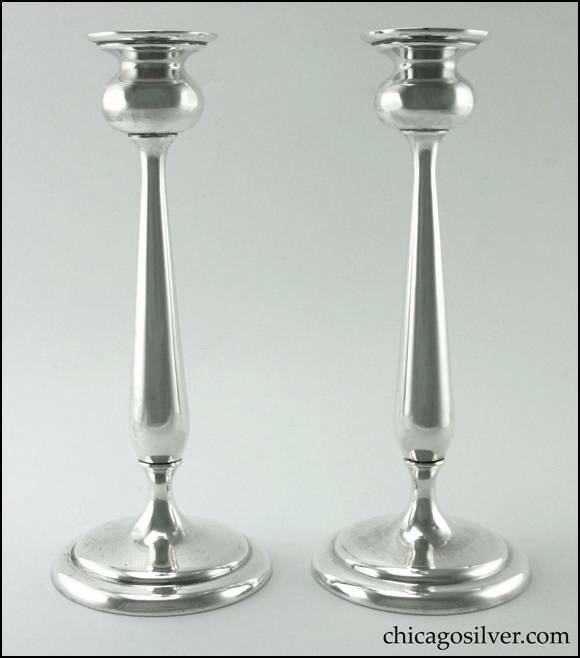 While some of his work like the salt and pepper shakers below is heavily hammered, these candlesticks are smooth and highly polished. 2-3/8" W at the top. 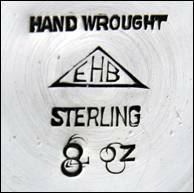 Signed: HAND WROUGHT / STERLING / [EHB mark] / 8 OZ. domed tops. Hammered surfaces. Somewhat similar to Breese pair on p.